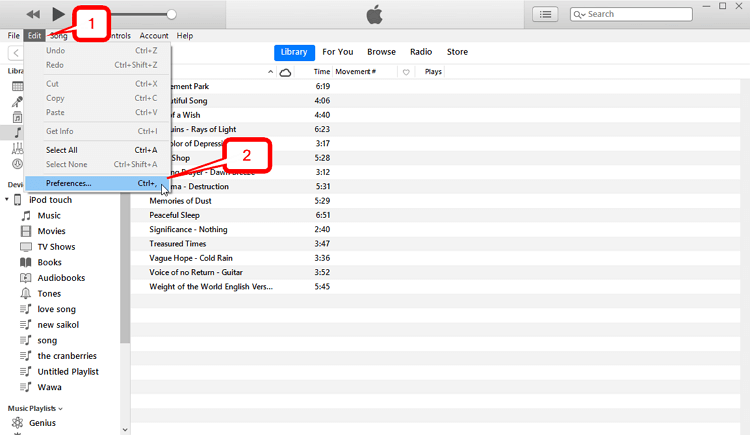 Looking for a way to transfer music from iPod to iTunes without actually using iTunes? Well, then you’ve come to the right place! Of course, we’re still going to show you how to transfer music from iPod to iTunes on Windows 10. However, we’re going to be focusing on methods of doing so without the need for a cable (which is now possible with Wi-Fi syncing and iCloud syncing!) Make sure you stick out till the end to be introduced to three different solutions for using Windows 10 to transfer your music! First, let’s talk about how you can transfer music from iPod to iTunes with Windows 10 via the iTunes Wi-Fi Syncing feature! This is a relatively new thing, but it can save you some time if you don’t have a good cable on hand or even if you’re just too lazy to set things up in the normal way. It’s really not that difficult to do either. It’s just a matter of making sure that everything is set up the way it needs to be. After the first time, things will be a whole lot easier. The first time you do this, you will need to connect your iPod to your PC with a cable. There’s no way around it. 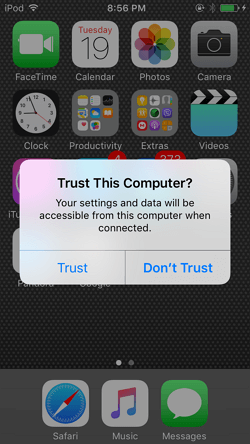 This is because you need to make sure your device and laptop are paired properly! 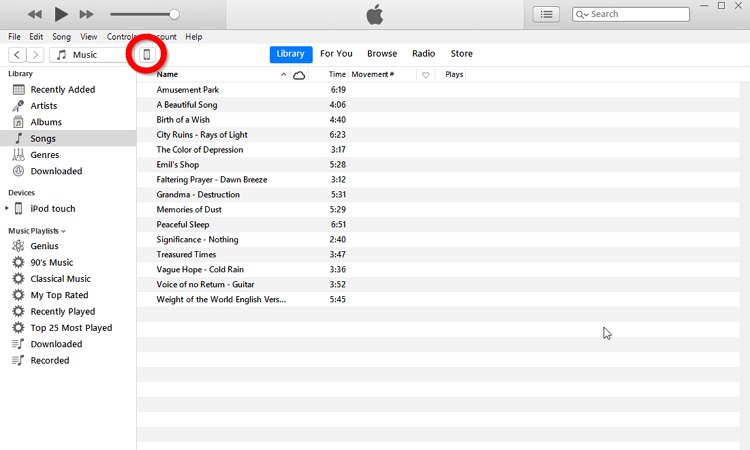 If you scroll down on the Summary page of your iPod’s ‘Settings’ then you will be able to see the Options box. On there, the option to “Sync with this iPod over Wi-Fi” is available. 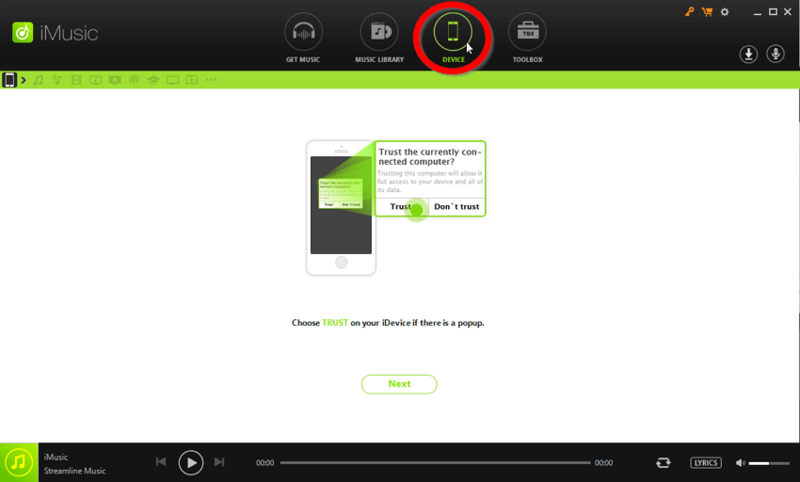 Select the “Sync with this iPod over Wi-Fi” option and click the Apply button in order to move onto the next step. 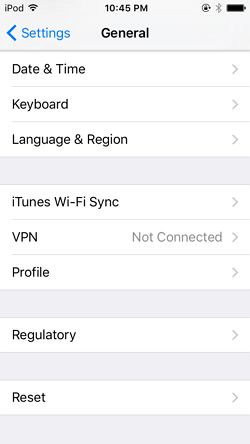 Meanwhile, on your iPod, you will need to access the “iTunes Wi-Fi Sync” option under Settings > General. 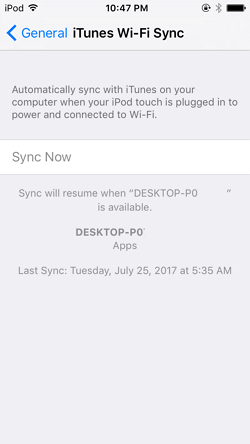 Your iPod will automatically search for a laptop to connect to, and the sync-pair will occur! 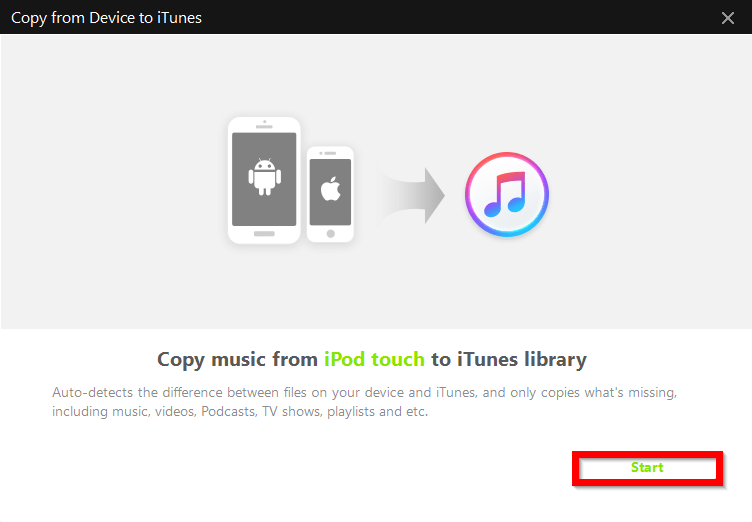 When that happens, just click the Sync Now option in order to transfer your iPod music to your iTunes library! 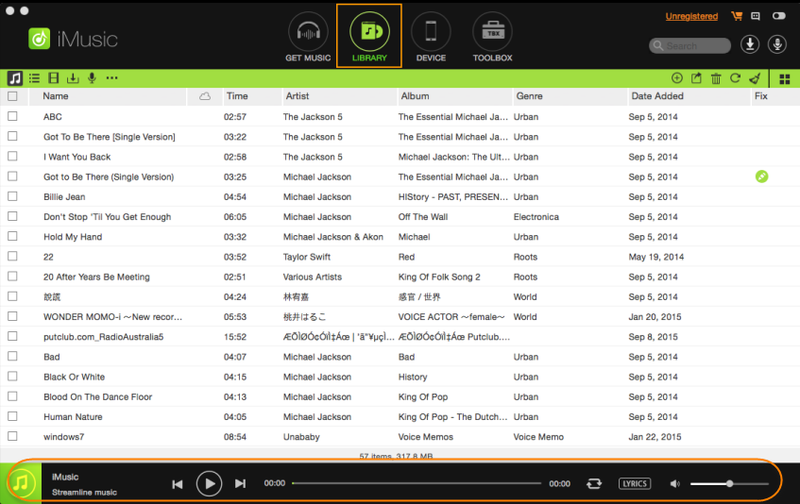 Transfer songs from ipod to iTunes on windows 7/10 Easily. Quick and Efficient automatic transfer . Two-way music transfer between iPod and iTunes. Device to Device transfer option available. Prevents duplication with scanning tools and duplicate removers. Premium Toolbox for managing transfers. If you look back to your Windows PC, you should see that the options have now changed. Now, the “Device” page will show your iPod device and the options available to you. 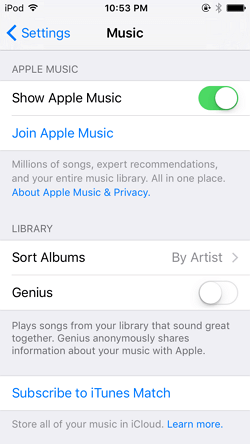 Next, give iMusic permission to scan both your iPod and your iTunes library by selecting the “Start” button on the bottom left-hand corner of the screen. This is not only so that it can transfer files properly, but also to prevent any duplication of files. 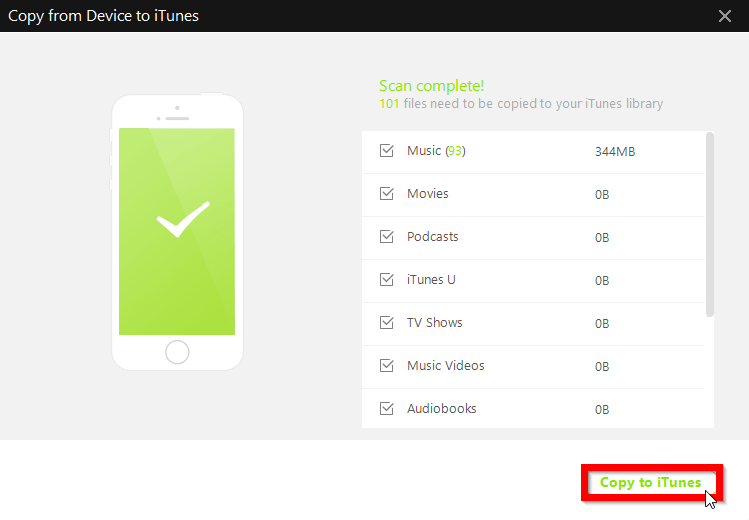 After iMusic finishes scanning your iPod and iTunes library (it shouldn’t take too long unless you have a large number of files on both sides), you can select which of those files you want to copy. Everything will be made available to you, just select or de-select as needed. Then, when you’re done going through the files that are available for transfer, click the “Copy to iTunes” button and leave iMusic to automatically transfer all your music for you! Similar to our first demonstration, we’re going to be showing you how to transfer music from iPod to iTunes Windows 10 using iCloud. Again, it’s something that is pretty new in terms of options. However, it is definitely doable. You just have to make sure to pair your iPod and PC correctly the very first time. Also, because you’re going to be using an Apple service, limits are going to be even more imposed! First, you’ll have to have an Apple Music account and second the songs you transfer must be purchased from iTunes only! As mentioned, you’ll need to have a functioning Apple Music account in order to get this to work. To sign up for one, you’ll need to access Music options under your iPod’s “Settings.” There, you’ll find the “Join Apple Music” option. Now, after signing up for an account, the next thing you’ll have to do is select the “Subscribe to iTunes Match” option. 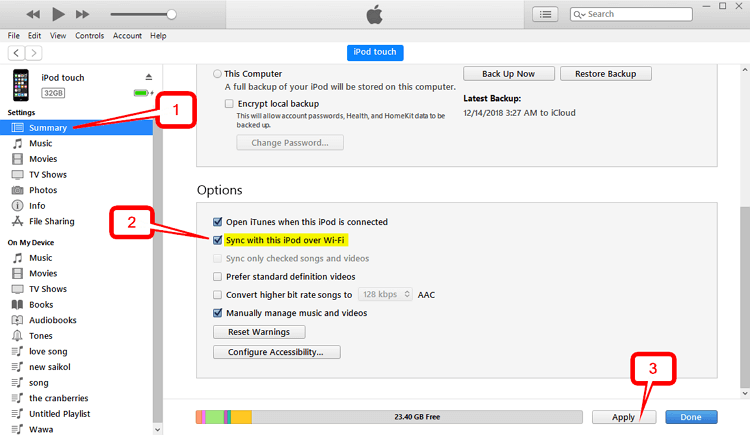 This will be important as it will upload your iPod music to iCloud. 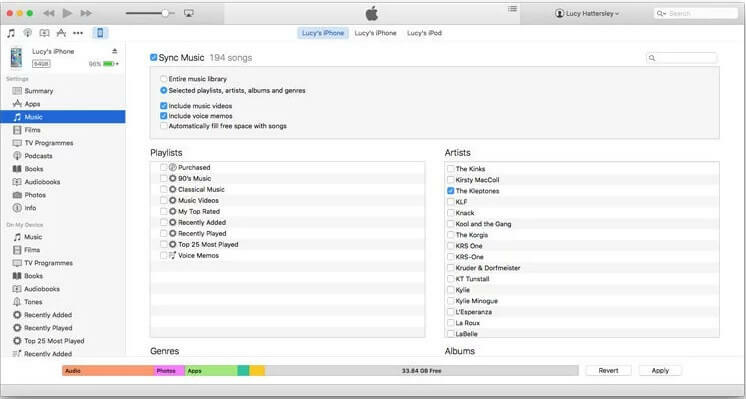 After storing all of your music on iCloud, it’s time to go back to your Windows 10 PC in order to complete the pairing process. You’ll need to select the Edit tab on iTunes and click the “Preferences…” option in order to proceed. Step 3 — Sign in & Sync! 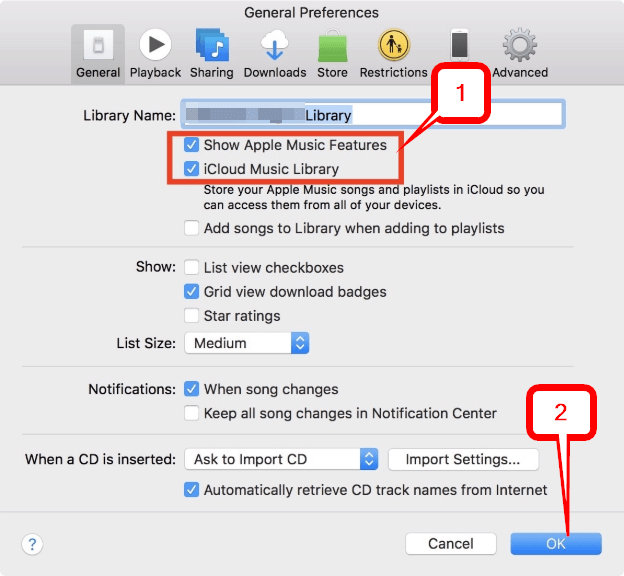 Once those options are on click “OK” and you’ll now be able to transfer the iPod music stored in your iCloud account to your iTunes library! 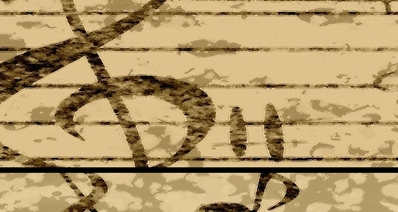 Conclusion: There are many different ways that you can transfer music from iPod to iTunes Windows 10 without actually having to do it the traditional way. Nowadays, technological advancements are being made constantly, and there’s nothing more convenient than being able to take advantage of those feats. 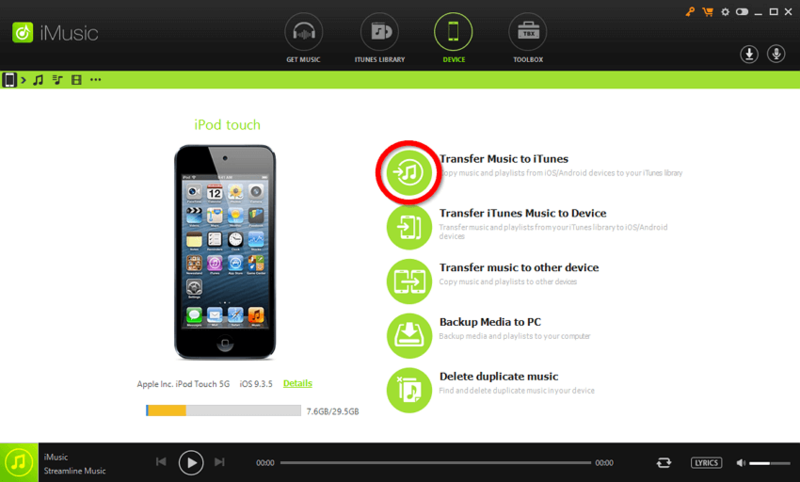 That is why, when it comes to moving songs between iPod and iTunes, we would always recommend the iMusic transfer software. 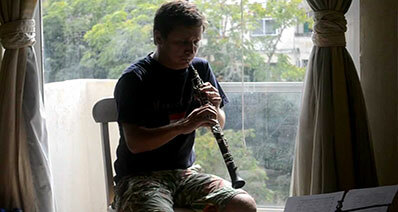 After all, out of all the methods available, it is the best and most efficient option!